DANVILLE, Virginia – After just missing the pole in qualifying and being hit with a hard-to-take penalty Saturday at the start of this past weekend’s first Pirelli World Challenge SprintX GT race at VIRginia International Raceway (VIR), the No. 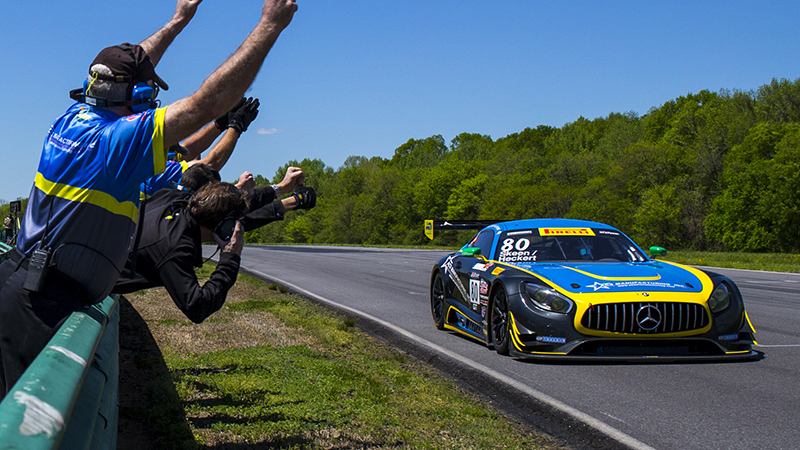 80 ACS Manufacturing/Lone Star Racing Mercedes-AMG GT3 team went into Sunday’s final race determined to score a victory. When the checkered flag waved, the No. 80 team, and co-drivers Mike Skeen and Scott Heckert, accomplished exactly that, combining impeccable pre-race preparation, a perfect pit stop and flawless driving for the team’s first win of the 2018 season.